I was stricken with the flu, despite having received a vaccination last October. My laptop caught a virus, and I was left without the internet for 24 hours. When I was able to check my email, I had several disappointing emails for me waiting for me in my inbox. On Valentine’s Day, I lay alone in my bed watching my twentieth episode of Friends. As I reflected on my own misery, I had a surprising reaction - laughter. My predicament was actually rather amusing; all these these things happened in the course of one week. As the saying goes: “when it rains, it pours”. For some reason, (perhaps it was the flu medicine) I found the whole situation comical. This moment of laughter helped me to allowed me to shake off my self-pity. I acknowledged the reality of my present situation, but I also realized something deeper. Yes, I had the flu. Yes, my laptop had a virus. Yes, my future plans are a little hazy at the moment. But I will get better in a few days, and there will be a point where I will have some clarity on the future. This moment of self-reflection brought me a profound sense of peace. All of these circumstances were beyond my control. I had no control over catching the flu or getting a computer virus. As for my inbox of disappointment, there was nothing I could do there either. I could not change what had happened, but I could shape the present moment. I could take my medication, drink plenty of fluids, and get some rest. I could turn my computer over to people who could fix it, rather than getting frustrated and slamming my laptop shut. And I could stop wallowing in my own self-pity. Despite the misery of the past week, I still had the power of the present moment. The power of the present moment is not the ability to control my circumstances. It is the ability to control my reaction to the circumstances into which I am placed. 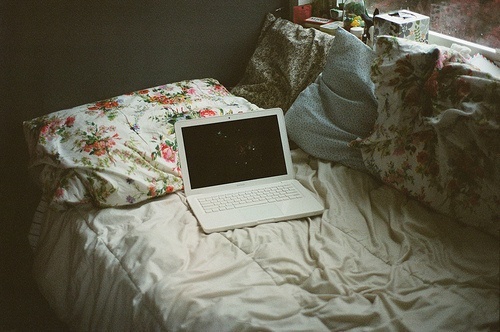 I could choose to lay in the bed, dwelling on my problems, asking why all these things had to happen to me. Or I could live in the present moment, conscious that it is my reaction to my circumstances that matters. This mindset shift allowed me to acknowledge reality and move on. I stopped dwelling on the past and started focusing on the present. I decided that wasting time and energy on things I could not control was just that: a waste. Instead, I made a conscious decision to confront my misery and focus on the one thing I can control: my stance towards the present. I can choose to be miserable, or I can choose to confront frustrating moments of my life with a calm attitude of humble acceptance. I am not in control of everything, but I am always in control of my fundamental stance towards any given moment. I want to always greet the present moment in a gracious and collected way.This, I discovered, is the real power of the present moment. I have a passion for classical literature, history and politics and I hope to pursue an academic career in international affairs. I write best while sipping coffee, listening to beautiful music and cuddling cats.